Global Catholic Climate Movement works with Catholic people and institutions around the world to care for our common home and advance climate justice. Here are 10 things we’re grateful for in 2018. In June, Pope Francis had two strong speeches targeting the fossil fuel industry, first warning oil CEOs that “energy use must not destroy civilization!”, and then a strong criticism of “the thirst for profit that surreptitiously exploits oil and gas fields without regard for our common home.” In July, the Vatican convened a high-level conference to celebrate the third anniversary of Laudato Si’, where Pope Francis called for “systematic and concerted efforts aimed at an integral ecology.” In October, the heads of six continental bishops’ conferences issued a rare joint statement calling for urgent and ambitious action on climate change to “put an end the fossil fuel era”. The Season of Creation, a worldwide celebration of prayer and action to protect our common home, was embraced more deeply than ever in 2018. Top faith leaders, including the Vatican’s Cardinal Peter Turkson, the Archbishop of Canterbury, Ecumenical Patriarch Bartholomew, and more, signed a groundbreaking statement of support for the season. 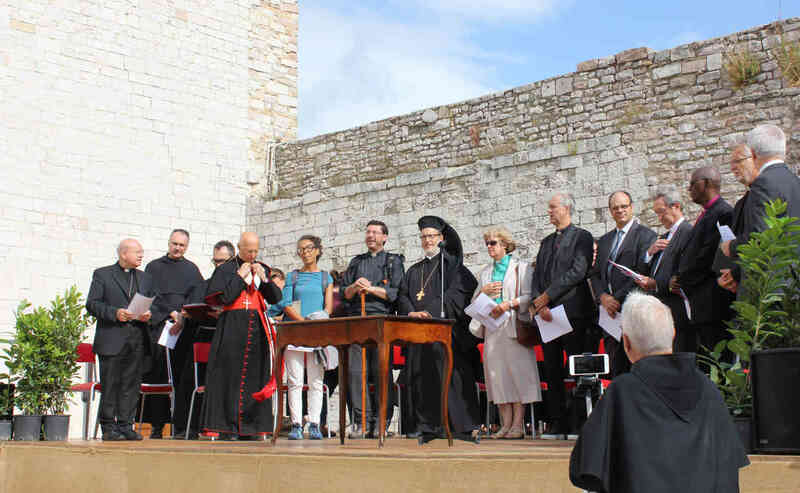 A high-level prayer service in Assisi, city of St. Francis, brought leaders together. Worldwide, Christians celebrated 650+ events, an increase of 35% over last year, and events were held for the first time in the Caribbean, the Middle East, and Oceania. Poland, which is more than 90% Catholic, is the site of some of the worst air pollution in Europe and was the host of this year’s UN climate conference, COP24. In the run-up to the climate summit, the bishops of Poland asked the pastors of all 10,000 parishes in the country to pray for the talks—and followed up their invitation with the mailing of 2 million prayer cards to be used during mass. This action followed a year-long series of events: a top-level conference with Cardinal Dziwisz, close friend of St. Pope John Paul II, a visit by the COP 24 president and the Minister of Entrepreneurship and Technology to the Vatican conference on Laudato Si’, and St. Francis Sunday events with the Minister of Agriculture, bishops, and Catholic supporters around the country. These events were covered in news stories (such as here, here) reaching millions of Polish people. Pilgrims on The Climate Pilgrimage walked 1,500 kilometers from St. Peter’s Square to the UN climate summit in Katowice, Poland to call for climate justice. Led by former Filipino climate negotiator Yeb Saño, the pilgrims included survivors of Typhoon Haiyan, a storm linked to climate change that killed thousands of people. The pilgrims shared their stories in dozens of communities along their route, and were welcomed by UN climate chief Patricia Espinosa, Austrian President, Italian Environment minister Sergio Costa, and more. Their stories were covered widely in the press and on social media (including here, here). Please see more information here. The UN climate negotiations, also known as COP24, were a crucial test of the international community’s ability to work together for the good of our common home. Even if the summit’s outcomes were not as ambitious as it was needed, Catholic voices were prominent at the talks. At the summit, the head of the Holy See delegation held a strong press conference calling for urgency and solidarity, while CIDSE and CI followed the details of the negotiations. 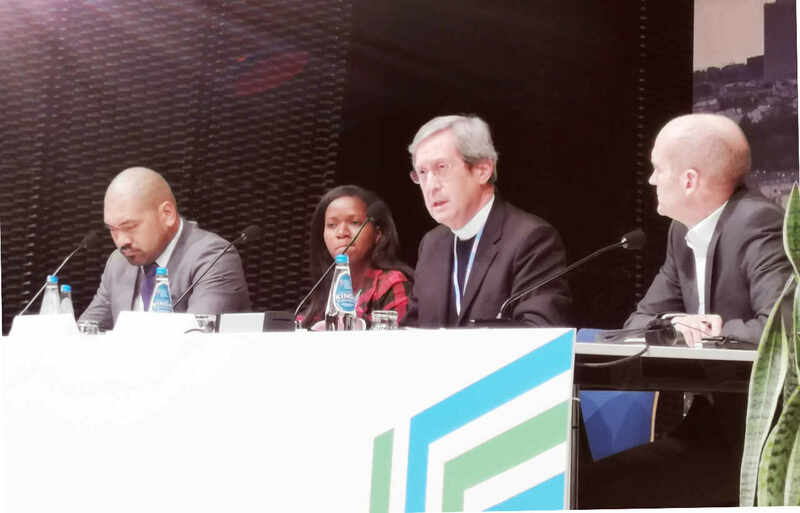 On the sidelines, the Pontifical Academy of Sciences convened an all-day conference on climate science, the international Catholic community shared stories of witness and commitment to change, and regional Catholic activists united in reflection. Catholic institutions continued their prophetic leadership in the movement to divest from fossil fuels. 50+ Catholic institutions, including Caritas Internationalis and Catholic banks with more than €7.5 billion on their balance books, stepped away from dirty energy. 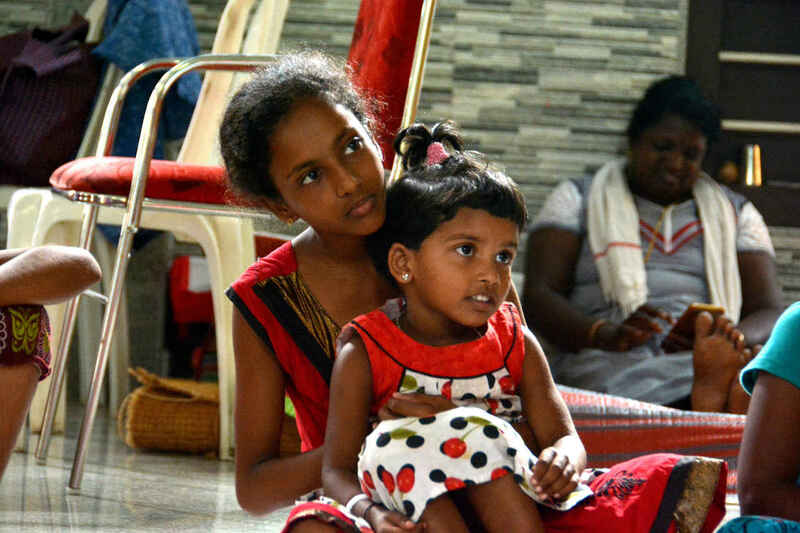 Caritas India, which was on the front lines of the floods in Kerala that displaced more than a million people, said that “our mission is to bring the gospel’s love and compassion to people who need it, and to do that we must step away from the fossil fuels that cause so much suffering.” This story was covered widely in the press (for example here, here) and in a video seen by hundreds of thousands of people. 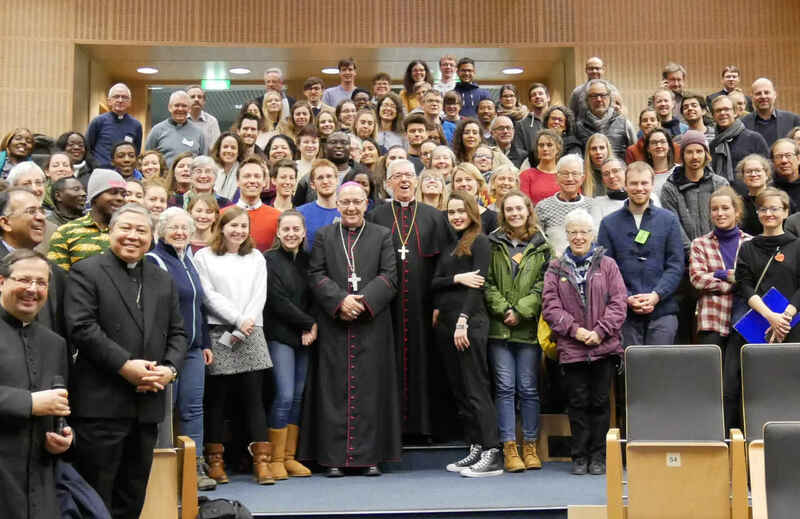 The World Meeting of Families, an international gathering with the Pope held every three years, had a new focus on Laudato Si’ thanks to a partnership between WMOF, the Laudato Si’ Working Group of the Irish Council for Catechetics, Trócaire, and GCCM. 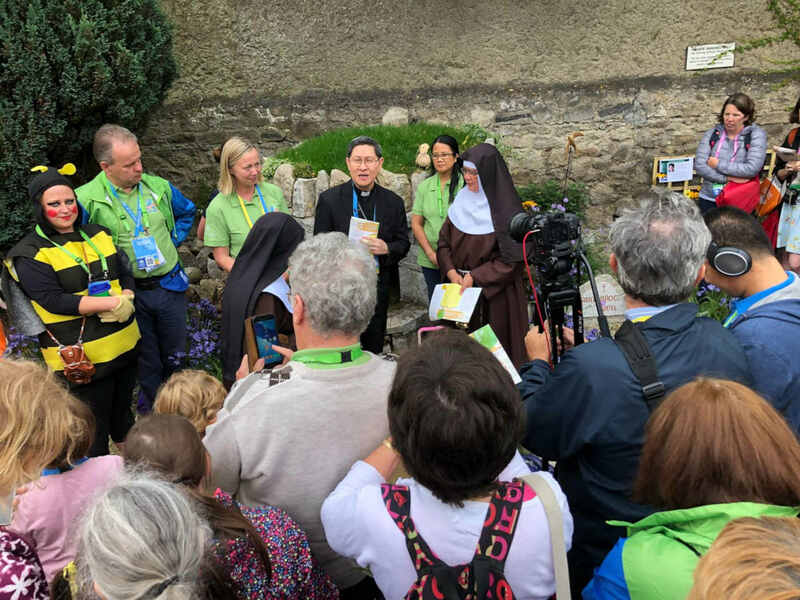 With a dedicated section on the official website, a video preparing pilgrims to travel sustainably, a meditation garden, a prayer space, activities for teens, and more, this high-profile event reached new audiences with the Laudato Si’ message. 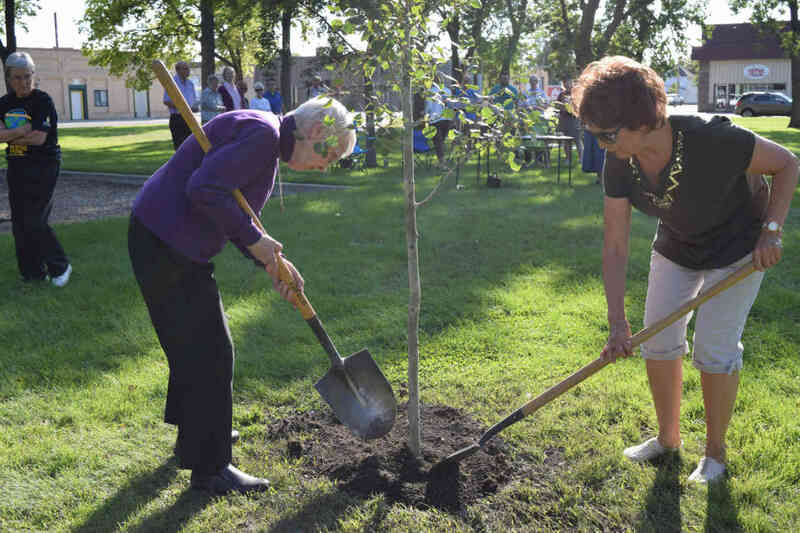 In 700+ events on six continents, Catholic communities came together for Earth Day. Communities prayed and learned together and encouraged diocesan leaders to commit to protecting creation. Learn more here. 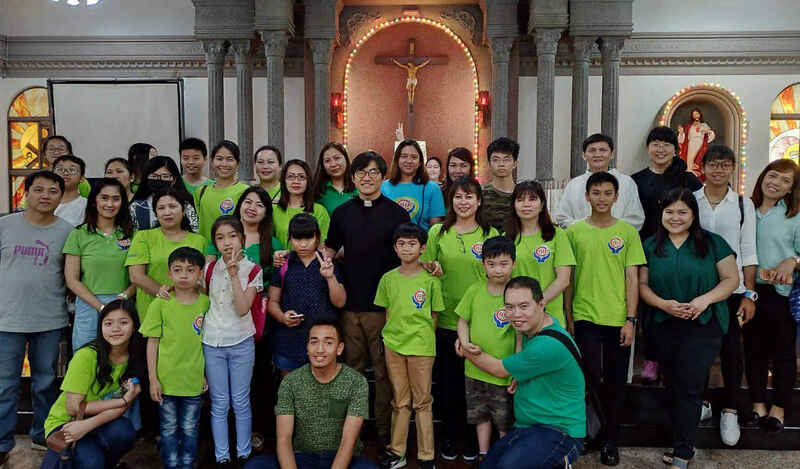 Around the world, our movement continued to grow with committed Catholics taking action in the grassroots. 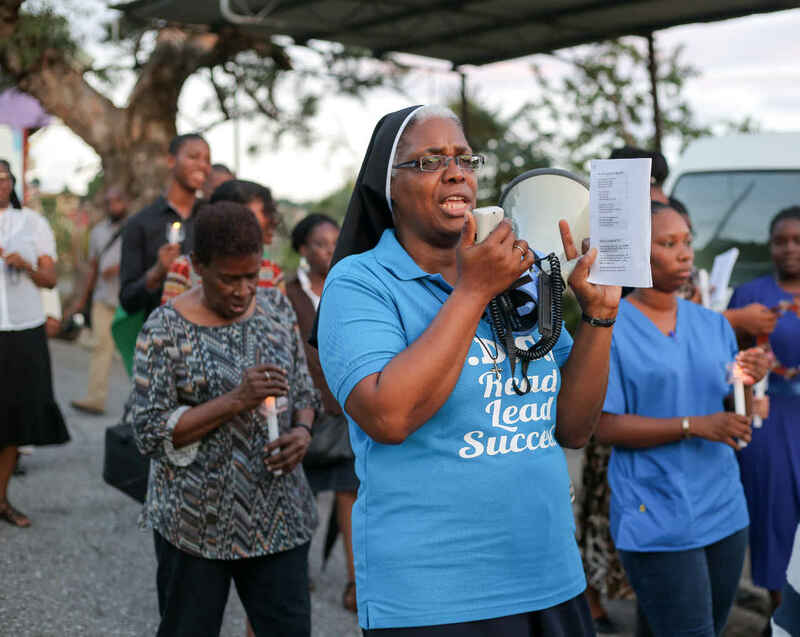 From being trained as a Laudato Si’ Animator to participating in a Laudato Si’ Retreat or joining a Laudato Si’ Circle, the Catholic grassroots found new ways to bring Laudato Si’ to life. 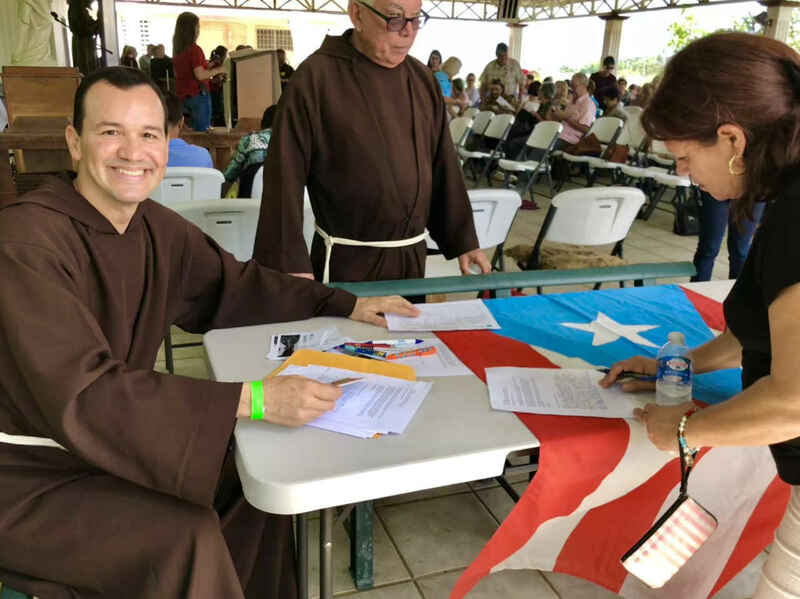 At the same time, GCCM member organizations have continued to lead the charge for climate justice in their regions, ranging from the US-based Catholics Are Still In Declaration to Caritas agencies deploying renewable energy to Catholic sisters joining forces to care for our common home. With beautiful, comprehensive resources for Lent, Advent, and All Saints and All Souls Days, Catholic people and parishes connected the heart of our faith with care for our common home. 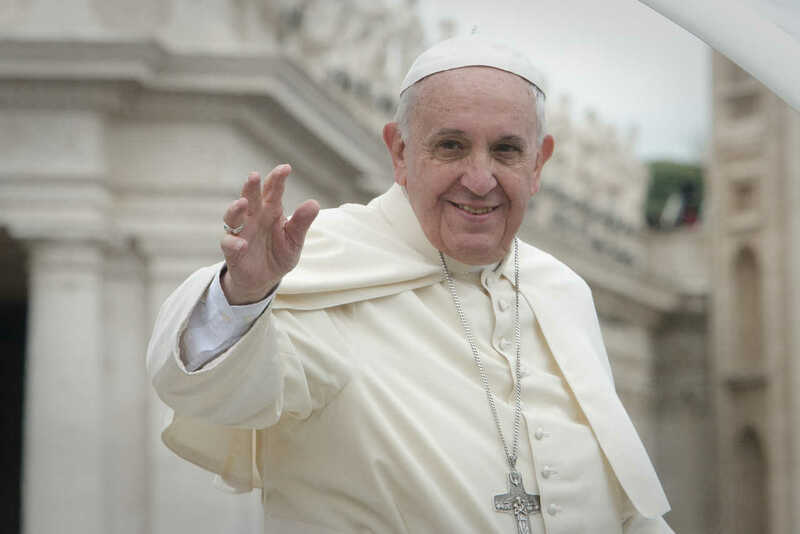 Global Catholic Climate Movement is grateful to work with a worldwide network of Catholic people and institutions to bring Laudato Si’ to life. As the needs of our most vulnerable sisters and brothers continue to grow, and in light of the recent IPCC report on reducing greenhouse gas emissions by nearly 50% in the next 12 years to keep global warming to 1.5 degrees, we are committed to increasing the ambition and urgency of our work in 2019. We give thanks to our community and to the Holy Spirit for the gifts of 2018, and look forward to the gifts of the year to come.